In this video we updated core Drupal to a new minor version. This is an important procedure to get down, especially for potential security updates down the road. Now we need to update core Drupal. Let's click the available updates link here. So it says the recommended version right now is 8. Let's open up the release notes in a new tab. All right, let's take a look at the update steps for updating Drupal core. So, first we're going to put the site into maintenance mode. We'll remove the core and vendor directories, as well as all files at the root level. 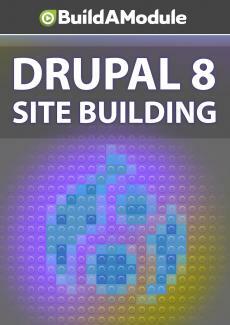 We'll download the latest version of Drupal 8. We'll run update. php, and then we're going to turn off maintenance mode. Now, there're some additional details littered throughout here that're helpful if you run into problems, or are using an alternate method of updating. But the basic steps are pretty straightforward. So, first, let's turn on maintenance mode. So again we'll go to configuration, and then under development here, we'll put maintenance mode on. Again, we should've already created a backup of our sites in database. Now, let's download the latest version of Drupal 8.